The most poignant moment of the 2013 Calgary Folk Music Festival came during Saturday evening’s headline slot when Steve Earle dedicated the song ‘This City’ to all those who had worked tirelessly to ensure that this four day event on Prince’s Island, just a stone throw from downtown Calgary, didn’t become another victim of the great Southern Alberta flood of 2013. So with a lot of hard work and a little tinkering around the edges, artists from around the world descended on this Canadian self proclaimed city ‘Home of the New West’ to celebrate a diverse brand of music that stretched from country to dance and calling at most points in between. With a daily sold out attendance of around 13000, the festival got underway around tea time on Thursday and I immediately headed to a stage hosting two artists who have become firm favourites of mine. Having made the long journey from the Canadian north east maritime provinces, Amelia Curran may have been expecting slightly warmer Alberta weather but with an excellent back catalogue joined recently by the Juno nominated album SPECTATORS, her set on the island site’s second stage got the festival off to a splendid start. Assisted by Catherine Allan on accordion/piano and Darren Brown on Mandolin, Amelia showcased her heart warming ability to deliver stunning folk songs with a feel good injection of laughter. ‘Years’, ‘Bye Bye Montreal’, ‘Blackbird on Fire’ and ‘The Mistress’ were all great songs performed but for me the captivating ‘San Andreas Fault’ set the standard for all the other artists to follow. 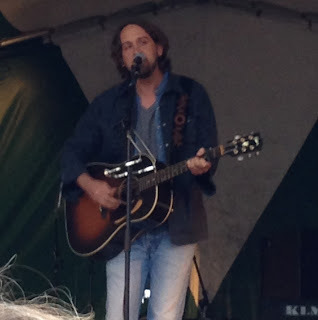 Hayes Carll is long overdue another visit to Britain and I can gladly report that the Texan Troubadour with an innate ability to turn a quirky tale into an outstanding song is in fine form and would jump at the chance if an opportunity arose. Amongst the wealth of classic literary masterpieces adorning the set list was a song added to his great pal Corb Lund’s latest album ‘Bible on the Dash’, the delightful tale of frustrated love ‘Beaumont’ and the equally wonderfully titled ‘Drunken Poets Dream’ and ‘Bad Liver and a Drunken Heart’. 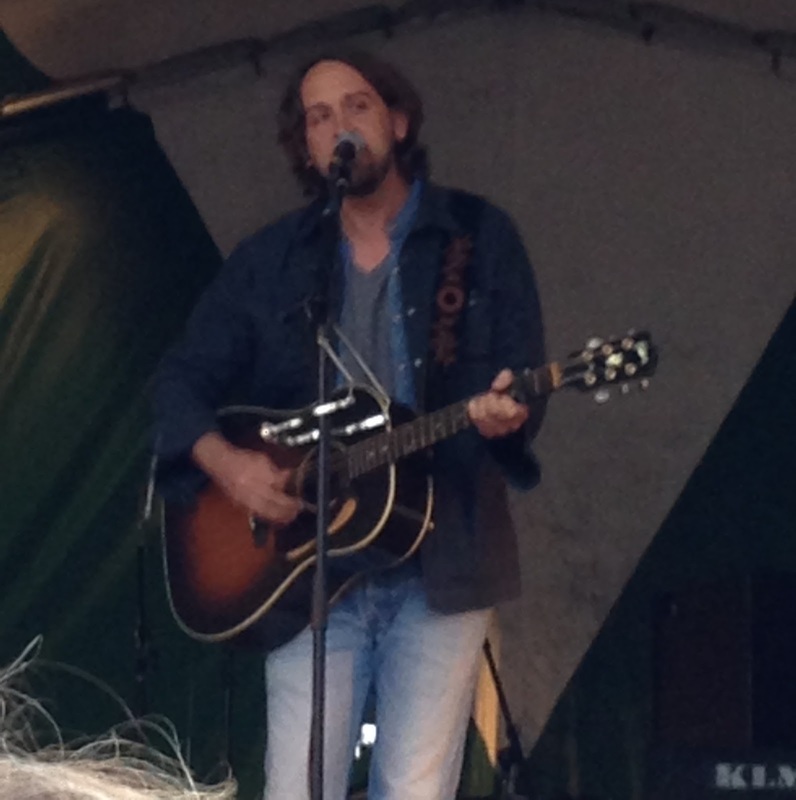 The charm and engaging talent of Hayes Carll has endeared many fans across North America and while he has created a respected niche with audiences in Canada, especially Calgary, the potential to continue to grow in the UK is still there. Promoters please note! Having caught their spellbinding set at Glastonbury via TV, expectation was high that Alabama Shakes live could be an earth shattering experience. It may have been a slightly cool and wet evening but the main stage arena rocked, shook and lapped up everything Brittany Howard and her boys had to offer. With their BOYS AND GIRLS album formally fixed in Americana folklore, some new material previewed took a slower and deeper blues path which allowed Brittany total freedom to stretch every sinew of her vocal ability. When she removes her glasses mid song, you know this girl is on top form and whether you consider them blues, rock, folk, southern, soul or a bit of everything, the experience of catching them live transcends genres. You now start to get the picture that Alabama Shakes fully justified headlining the opening night of the Calgary Folk Music festival. A major feature of this festival is the themed workshop sessions that spring up on stages throughout the site where artists collaborate, often without rehearsal, on each other’s songs as well as traditional standards. Much of Friday was spent exploring these sessions where Amelia Curran popped up again and they also gave a first opportunity to catch some songs by John Fulbright and The Dunwells ahead of their main sets. Many of the themes were based around genres such as folk, country, world, blues etc and overall they were a great way of experiencing the different sides of artists as well as providing an excellent opportunity to sample new acts and musical styles. The Friday evening main concerts did not contain any must see artists but it was a pleasant way to saunter around the stages and see what takes your fancy surely the true ethos of any festival. Probably the standout act from the festival’s second day was the main stage show by Austin based alt country rock outfit Heartless Bastards. The set of this band led by singer guitarist Erika Wennerstrom evolved from straight down the middle indie rock to a more varied sound which allowed space for other more roots influences. They are due to visit the UK later this year and are definitely a band to look out for and are proof that festivals are excellent places to widen your music engagement. 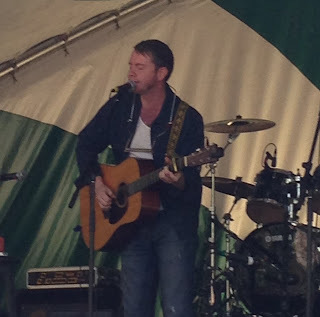 John Fullbright gained loads of new followers when touring the UK earlier this year with his Grammy nominated debut album FROM THE GROUND UP. His Saturday lunchtime outer stage slot was always going to be a must see and the Oklahoma raised singer-songwriter didn’t disappoint. 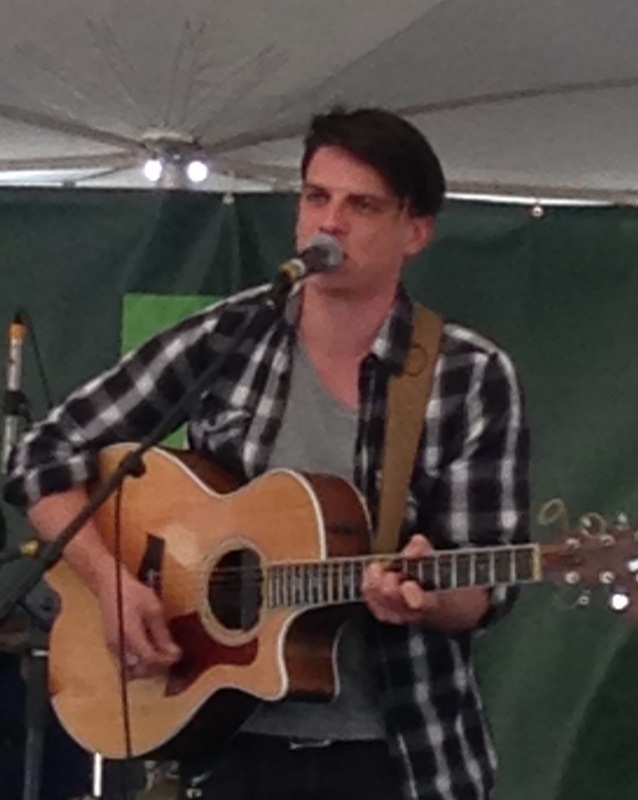 Plans are already advanced for the sophomore album and John previewed a new song titled ‘For the First Time’. On the morning of the announcement of the passing of guitar legend J.J.Cale, tributes were in abundance across the festival and John duly offered his own. However the standout moment of John’s set and one of the whole festival’s as well was the stunning rendition of ‘Jericho’. John returns to the UK later this year and he is set to be an integral member of the Americana movement for many years to come. On the back of the Mumford and Sons America phenomena, UK folk/rock/pop band The Dunwells have been making inroads stateside with their own style of infectious roots influenced songs. This five piece Leeds based band led by the Dunwell brothers David and Joseph managed to achieve the near impossible and get a lunchtime TD Stage 6 sedentary crowd to their feet with a lively version of their anthem ‘So Beautiful’. Other songs presented from the debut album BLIND SIGHTED FAITH included the title track, ‘I Could Be a King’ and ‘Hand that Feeds’. Hopefully the autumn will see the boys re-concentrate their efforts on raising their profile in the UK as they have the talent to go far. Those present for their Calgary Folk Festival slot were converts by the end albeit from the confines of their lawn chair. Following a trawl through an afternoon of more sessions, attention once again turned to the main stage evening line up and first up was the talented Scottish traditional folk singer Rachel Sermanni. Still in her early twenties, Rachel possess an amazing voice and although a little bit fazed by the enormity of the vast main stage when partaking in between song banter, there was no such intimidation when launching into fine songs such as ‘Ever Since the Chocolate’, ‘Sleep’ and ‘Song to a Fox’. There was no doubt that Rachel won many Canadian plaudits during her tour of the country especially with the strong Highland links that span the land. It will be interesting to monitor her progress in the folk world back home. 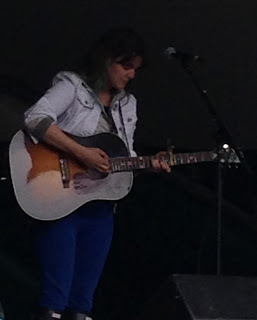 Prior to catching Steve Earle’s headline set on the main stage there was a slight disappointment when seeing the performance of Brooklyn indie songstress Sharon Van Etten. Perhaps the location didn’t suit her dark moody introspective manner but the hype surrounding her seemed misplaced when witnessing a disjointed uninspiring set. However there was no to time dwell at this festival as the missed opportunity to see Steve Earle on his recent UK tour was rectified. The legendary folk, Americana, country and, anything else you want him to be, performer embraced the spirit of Calgary by donning a white Stetson for the early part of his set which focussed on the latest LOW HIGHWAY album. Steve was on top form with his banter when dismissing a heckler demanding an immediate version of ‘Copperhead Road’, although this classic was never going to be left out of the segment containing ‘Galway Girl’, ‘Guitar Town’ and the set highlight ‘I Ain’t Ever Satisfied’. Although the Duchess AKA Mrs Allison Moorer-Earle didn’t make the trip north as band member at least, Steve continues to enthuse about the acquisition of The Mastersons by referring to this being his best ever Dukes line up. There may be a lot of miles on the clock but there’s plenty left in the creative tank of Steve Earle. With credit to World Party, Kurt Vile and Credence Clearwater Revisited (basically Revival’s rhythm section with a tribute vocalist singing Fogarty’s songs) who all delivered fine sets, the final day of the 2013 Calgary Folk Festival for me was all about two acts, one familiar and the other not. 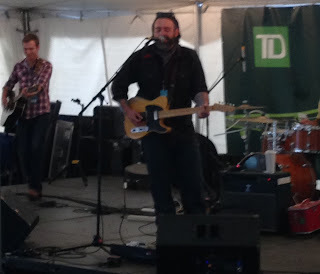 An excellent alt-country band called the Coal Creek Boys from just over the Alberta border in British Columbia first came to my attention during one of the workshops and subsequently confirmed their ability to craft real life high quality songs in the Sunday morning full band set in the tented sedentary TD Stage 6. With a rich heritage sourced from the coalfields of B.C., the band led by John Paul Smith use rock and roll as their outlet to recount tales of their proud tradition and deal with the real issues of their surroundings. They have a fine new double release out titled ROSETOWN: WHISKEY AND WINE with ‘Carrie Nation’, ‘Rose Town’ and ‘GI Highway’ being superb tracks added to their Calgary set. The band is starting to get good press in the States and have a ready-made audience in the UK if the two can connect. While waiting to see the main set from the festival’s stand out performers Kelly Willis and Bruce Robison, a highly impressive performance from Canadian folk duo DALA was stumbled upon. These two Toronto based artists had an eye catching talent and a sound that ranks highly alongside the abundance of compatriots that are very popular in the UK. Having noted their acclaimed home status, surely some international recognition is not far away and they are certainly an act pencilled in for future scrutiny. 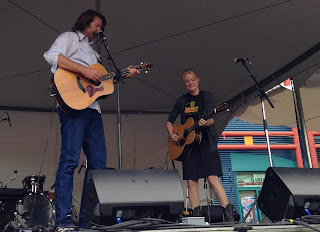 It wasn’t quite a case of saving the best till last because Texas husband and wife duo Kelly Willis and Bruce Robsion had a 5 o’clock slot on an outside stage but their performance met all pre-determined expectations and proved unequivocally the highlight of the entire festival. Following a slightly uniformed introduction from the MC, the much respected duo, who have both been stalwart servants to country and wider Americana music in Nashville and Austin for a number of years, gave a superb performance littered with evidence of their eminence. Bruce, the writer of country hits for George Strait ‘Wrapped’, Faith Hill and Tim McGraw ‘Angry All The Time’ and Dixie Chicks ‘Travellin’ Soldier’, enthralled the audience with each of these songs. Kelly, a much respected vocalist, took lead on ‘9999999 Tears’, ‘Dreaming’ and the Tom T Hall tribute track ‘That’s How I Got to Memphis’. Their first album as a duo released earlier this year CHEATER’S GAME is a gem of a record and a handful of excellent tracks from it lit up their woefully short 45 minute set. At present their album has a limited availability in the UK which needs to be widened as well as encouragement for Kelly and Bruce to tour. 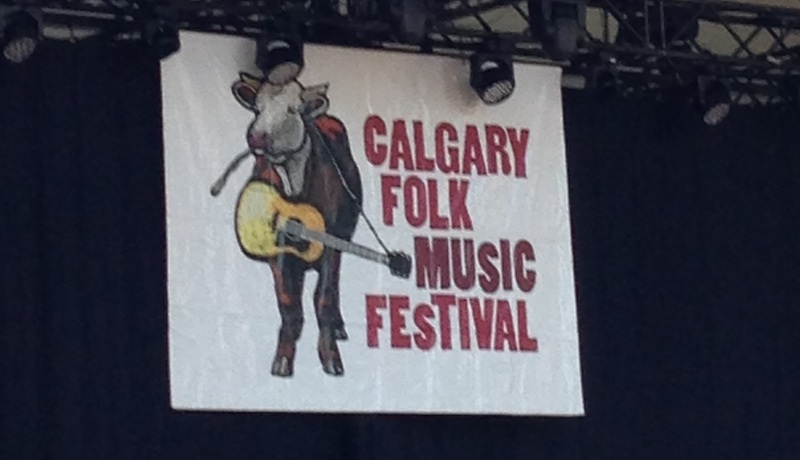 I suppose it was inevitable that a country and Americana act would rise to the top of the extremely eclectic Calgary Folk Festival but the real winners were the people of the city who rescued their beloved festival at the eleventh hour to enable us outside visitors to enjoy a fabulous four days of music. The setting is idyllic, the organisation is first class and the quality of the artistic presentation is hard to beat. The magic and inspiration of the Calgary Folk Festival will remain within me for a very long time.